One of the most fun things about planning a wedding as a creative entrepreneur is the ability to apply so many of the things I do day-to-day to planning for our big day. Of course I have a wedding Pinterest board, "La Petite Wedding", but also have a private board for sharing ideas among my future husband (since he'll be building a lot for our wedding). One of the most helpful things I've done to narrow my vision for the wedding is create an inspiration board & color palette. Let's face it- though Pinterest is wonderful, it can also be overwhelming. It's been great having a go-to inspiration board graphic that I can store on my phone, refer to, and use with vendors to help convey my vision for our wedding day ceremony and reception. 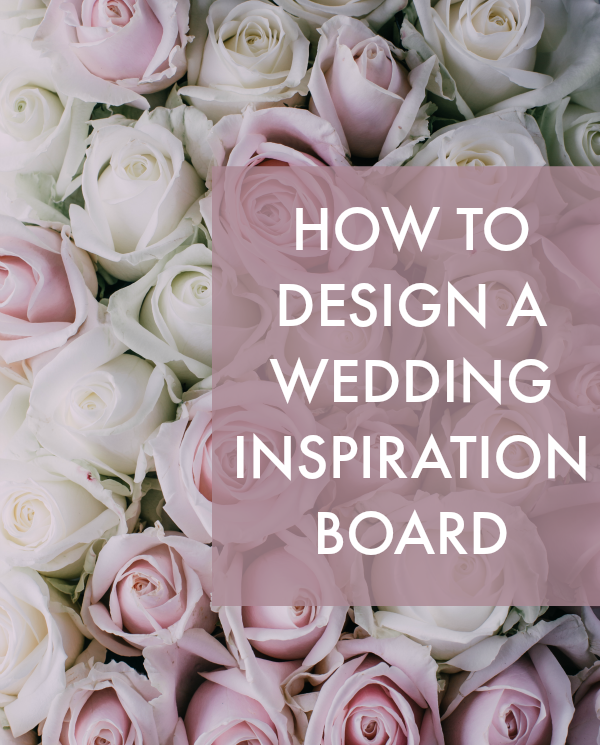 I'm going to share a few tips to help you create an inspiration board for your wedding as well! Below, is a peek at the inspiration for our wedding, which will be at Kyle's family farm this fall. We're looking forward to pulling in a lot of the natural details and include nods to both of our families history and traditions, and a romantic rustic woodland vibe. 1. Start with Pinterest: Either on a secret or public board, begin collecting ideas. No need to stay within a certain theme at this early stage. Invite a trusted friend or relative to help gather inspiration if you're feeling overwhelmed by the process. 2. Gather Inspiration: Reading magazines and blogs can be helpful for this too. I'm obsessed with all the inspiration in Southern Weddings magazine- because it can be so much more relatable than some of the others I've seen on the newsstands. 3. Begin to Refine your Vision: Your wedding venue may be helpful in defining a theme or mood for your wedding. But, also keep in mind that it doesn't have to limit you. Just because you're having a reception in a barn doesn't mean it can't be modern and sophisticated. Or on the flip side, a hotel ballroom reception can still feel casual and rustic. 4. Determine What Your Gravitating to Most: Are there any particular vibes or color schemes you're seeing pop-up in many of your photos or that make you feel especially inspired? This is a great starting place for your mood board. For example, maybe it's botanicals and florals in a colorful array, or maybe its a little bit of metallic glitz and glam. Can you close your eyes and envision it? It may be a good time to run things past your fiancée if you're including them in the planning process. 5. 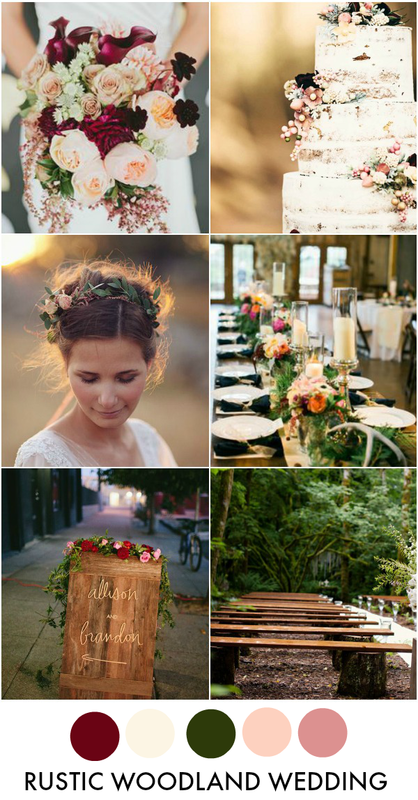 Create Your Inspiration Board Collage: Save 6-10 images that convey the look you're after for your wedding day. They will feel even more cohesive if they share a similar color story. Here's the how-to for creating an inspiration board, no Photoshop necessary. In PicMonkey's collage feature, open the images, arrange as you please & save as a .jpg file. Next, open the image again, add a large frame around the image. Select "shapes" and use the eyedropper to add colorful circles to display your wedding color palette. Crop any extra white trim from the frame and voila! As you share with any potential vendors, do keep in mind that it's purely inspiration. Keep your budget top of mind, but know that your inspiration board can be a great tool to let them know what you're looking for. For example, I know some of the flowers in my inspiration image may be out of budget or not in season, but I can at least show the color palette I'm looking for. If you're starting the wedding planning process just like me, feel free to tweet me with your ? 's and check out my last post for the newly engaged!